1 of 2. Highly contaminated water leaked from a large storage tank is seen at the H6 area of the contaminated water storage tanks, at Tokyo Electric Power Co. (TEPCO)’s tsunami-crippled Fukushima Daiichi nuclear power plant in Fukushima prefecture in this February 20, 2014 handout photo released by TEPCO. (Reuters) – The operator of Japan’s Fukushima nuclear plant said on Thursday that 100 metric tons of highly contaminated water had leaked out of a tank, the worst incident since last August, when a series of radioactive water leaks sparked international alarm. “We are taking various measures, but we apologize for worrying the public with such a leak,” said Masayuki Ono, a spokesman for the utility, also known as Tepco. That level is almost equal to that recorded in last year’s leak of 300 metric tons of contaminated water, deemed a “serious incident”, or level three, on the seven-point international scale for radiological releases. The bitcoin infrastructure is subject to the whims of just one person running MTGox who can arbitrarily decide to shut it down whenever he thinks the market needs a “cooling period.” This is nearly equivalent to a financial dictatorship where one person calls the shots. Health Ranger calls Bitcoin crash… again! I’m on the record as the one person who accurately and publicly predicted the massive 2013 bitcoin crash just 24 hours before it happened. That story is covered in detail in this Natural News article. According to bitcoin enthusiasts, some of whom have long abandoned any attachment to actual reality, bitcoin will save human economies from collapse, bitcoin can always be trusted because it’s anonymous, bitcoin is going to rise to $100,000 per bitcoin, and so on ad nauseum. Keep in mind that MtGox makes money off bitcoin transactions, meaning the organization has every reason to spin bad news (just like Wall Street) and keep the market “churning” so that more transactions are taking place. Listening to bitcoin advice from people who are making money off bitcoin transactions is a lot like listening to Obama promise you how he’ll protect your liberty. As is now obvious from recent events, my foreboding words were right on the money. Or in this case, the loss of money. When MtGox decided to close its doors and disappear over the weekend, hundreds of millions of dollars’ worth of accounts vanished with it. For all we know, the very founders of MtGox simply swiped everybody’s bitcoins and fled to Japan en route to the Cayman Islands where they will now enjoy a life of luxury, laughing it up at all the gullible suckers who bought into the bitcoin Ponzi scheme in the first place. 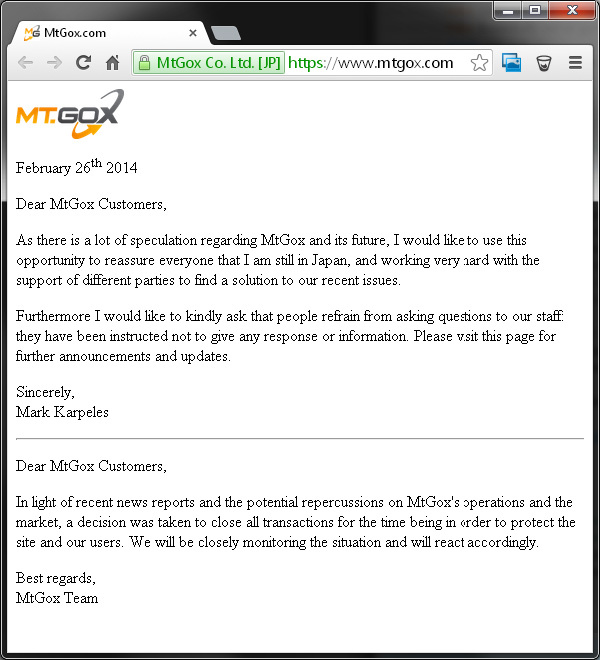 Every piece of bad news will be “spun” by exchanges like MtGox into good-sounding news. As bitcoin was crashing yesterday by 60% in value in mere hours, MtGox announced it was a “victim of our own success!” So while bitcoin holders watched $1 billion in market valuation evaporate, MtGox called it a success. Gee, then what would you call it when bitcoin loses 99%? A “raging” success? Honestly stated, most people got into bitcoin for the simple, raw reason that it was a “get rich quick” opportunity. Buy low, sell high. It’s the same scam repeated throughout the history of financial markets and made famous by people like Ponzi and Bernie Madoff. The hype that propelled bitcoin’s initial rise was of course chock full of seductive messages and tempting promises. But in retrospect, nearly all the bitcoin buzz was generated entirely by the very people who stood to benefit from a rise in bitcoin’s value. Bitcoin was, essentially, a multi-level marketing currency Ponzi scheme where every person who bought in wanted to convince yet more people to buy in so that their own buy-ins would rise in value as heightened demand collided with limited supply. In this greed-driven quest, true believers shamelessly attacked anyone who asked intelligent questions or exhibited even the least bit of skepticism about the long-term stability of the bitcoin currency. Rationality was entirely abandoned, largely by people who technically should know better, because “bitcoin-type” people tend to be among the highest IQ people in society. Yet even they lose massive IQ points when tempted by greed. So once again, I implore all Natural News readers and fans to get out of bitcoin and don’t get suckered by it. But don’t dump your money into greenbacks, either, because that’s just another scheme of a different type: a global debt scheme structured on deliberate currency debasement engineered by the Fed: a slow, deliberate theft of economic productivity by those who control the world’s money supply. You want to invest in something of real value? Buy an actual farm with good soil and a sustainable water supply. That’s worth more than all the bitcoins in the world, if you ask me. Bitcoins are fleeting. They can — and do — disappear in the blink of an eye. But if you own farm land with clean water and good soil, you’re sitting on a gold mine of food production, and a piece of land is significantly more difficult to take away from someone than a bunch of encrypted digital files. It’s food that’s going to soon become the new currency for a society in collapse, after all. Mark my words on this prediction: A food apocalypse is coming. Those who cannot produce their own food in a decentralized, secure manner — which curiously reflects some of the properties of a virtual currency — will sooner or later find themselves subjugated and powerless. A higher trust in your intuition and emotions may result in more accurate predictions about a variety of future events says a forthcoming article in the Journal of Consumer Research. 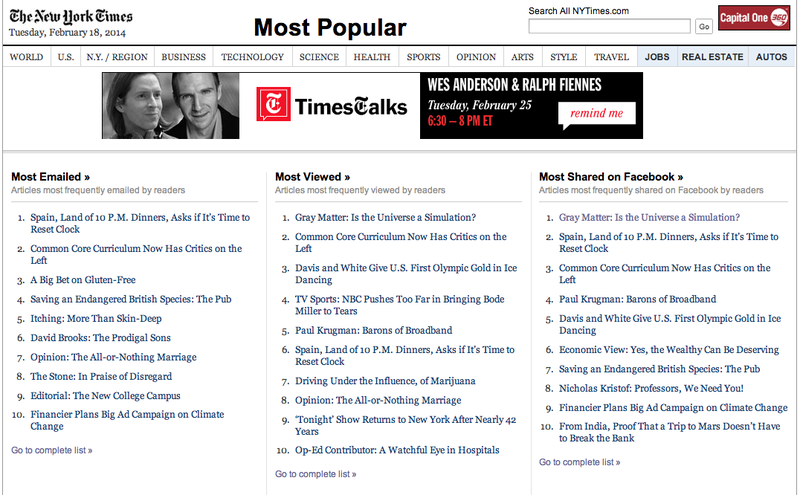 The research was also featured in Columbia Business School’s Ideas at Work in late February 2012. In the research, the researchers conducted a series of eight studies in which their participants were asked to predict various future outcomes, including presidential nominees, the box-office success of different movies, the winner of American Idol, movements of the Dow Jones Index, the winner of a college football championship game, and even the weather. Despite the range of events and prediction horizons (in terms of when the future outcome would be determined), the results across all studies consistently revealed that people with higher trust in their feelings were more likely to correctly predict the final outcome than those with lower trust in their feelings. The researchers call this phenomenon the emotional oracle effect. Across studies, the researchers used two different methods to manipulate or measure how much individuals relied on their feelings to make their predictions. In some studies, the researchers used an increasingly standard trust-in-feelings manipulatio. In other studies, the researchers simply measured how much participants typically relied on their feelings in general when making predictions. Due to the nature of our emotions and how they emerge from our unconscious mind, from our internal supercomputer, they tend to reflect more information than our rational mind. Buying a car or getting married are just the kind of decisions that seem to benefit the most from a more emotional, intuitive thought process. Regardless of the method used, participants who trusted their feelings in general or were induced to trust their feelings experimentally were more accurate in their predictions compared to participants with lower trust in their in their feelings and participants in a control group. Those who trusted their feelings were 25 percent more accurate than those who trusted their feelings less. The researchers explain their findings through a “privileged window” hypothesis. Professor Michel Pham elaborates on the hypothesis. “When we rely on our feelings, what feels ‘right’ or ‘wrong’ summarizes all the knowledge and information that we have acquired consciously and unconsciously about the world around us. 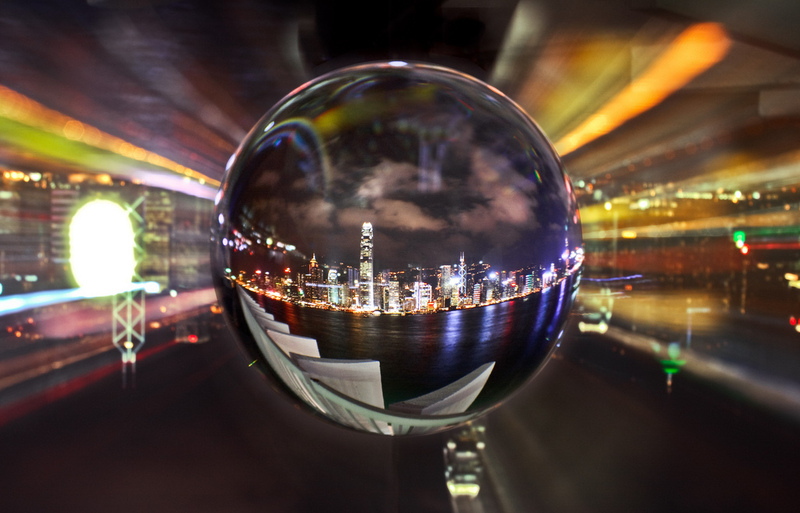 In accordance with the privileged window hypothesis, the researchers caution that some amount of relevant knowledge appears to be required to more accurately forecast the future. For example, in one study participants were asked to predict the weather. While participants who trusted their feelings were again better able to predict the weather, they were only able to do so for the weather in their own zip codes, not for the weather in Beijing or Melbourne. Professor Leonard Lee explains this is because “…they don’t possess a knowledge base that would help them to make those predictions.” As another example, only participants who had some background knowledge about the current football season benefited from trust in feelings in predicting the winner of the national college football BCS game. Thus, if we have a proper knowledge base, the future need not be totally indecipherable if we simply learn to trust our feelings. If you’re dealing with symptoms that no one can diagnose, much less treat effectively, maybe there’s someplace else you’ve yet to look. I’ve been in alternative medicine for twenty years; in 2012 I started attracting clients who had already done everything they and others knew to do for their ailments. Most exhausted all the traditional Western modalities, which led to a bevy of alternative modalities. None of those were successful either, and as it seems to be the natural progression for most, next came more esoteric concepts and therapies. Many entered into what some call the New Thought movement deep and hard. They tried chanting, positive affirmations, and numerous energy medicines, and these too were ineffective. One day in a session it hit me; I was able to intuit that the aches and pains of my client weren’t her own. Everyone I’d seen from that point onward had a remarkable list of can’t-be-coincidence similarities: they were highly sensitive, very empathic, had an unrealistic sense of responsibility for others, and had tried everything to heal but couldn’t. As a medical intuitive I’d been used to identifying underlying causes beyond the physical body that contributed to a pain or illness, but this took it one step further. I was able to see the pattern. A sense of responsibility was virtually injected into their blood streams from early on. Some actually heard directly, everything from “Sit still and make your grandmother happy” to “I can’t take care of your father, I’ll need you to do it for me while I take care of your brother” and alike. Others sensed that it was their job to hold things together. Many were super sensitive to difficult family dynamics and became the peacemaker. Some tried to entertain family members with musical proficiency, art, or a unique sense of humour. Others could sense emotional difficulties and reached out energetically to heal those in emotional pain. And all had become people pleasers. If you take a step back for a moment, you can see how feeling responsible for others and having a high degree of empathic abilities can be an unhealthy if not dangerous combination. Empaths by definition take on the thoughts, energy, and characteristics of others, and extreme empathy, combined with an overblown sense of responsibility, can actually manifest in pains and illness that are not their own. I was then able to intuit a series of steps that over time became more and more powerful. For example, one woman who had been diagnosed with chronic fatigue said she saw dramatic improvements in just four days when nothing else helped in the last ten years. Another released what she called ‘several decades of anxiety’ in just one session. And many have released years of repressed grief and their related symptoms (colon, breathing, skin etc. problems) in just a few sessions. I know, that sounds ridiculous, but if we’re open to something extraordinary, my belief is that something extraordinary often happens. Is this a panacea? Of course not; there are too many factors to claim guaranteed success – even aspirin doesn’t work the same for everyone. But if you identify with being empathic, intuitive, sensitive, and you’ve had little success elsewhere, why not give this a try? I am not responsible for the soul path of another person. Neither are you. You may know this consciously, but odds are really high that you haven’t yet fully embodied this awareness. The patterns of responsibility start early on. For some, it begins in our first few days in the womb. We know now that if a mother smokes, her baby smokes, too. But what we don’t often recognize is that if a mother is depressed, the baby also shares that chemical imbalance. In our first nine months of life, we grow, expand, and become aware of what’s happening with / within /for / to our mother, including sensing her fear, anger, and grief. A few years later, if, for example, our mother was depressed or our father was an alcoholic, we sometimes take on responsibility for those conditions. That often includes blaming ourselves: “If I were a better child, Dad wouldn’t drink and Mom would be happier, too.” Many of us began doing what others wanted us to do in order to be loved and perceived as good. This can manifest in ‘positive’ or ‘negative’ emulation to align with our caregiver(s) actions. For example, a child may become compassionate like his mother or stubborn like his father. Ironically, because the actions are in alignment with what the parent may say or do, the child is then called ‘good’. Being good may get us love and attention, but getting love because of what we do or don’t do is the very definition of conditional love, a very low vibration. This creates an unhealthy pattern that sets up all kinds of defeatist patterns for relationships later in life. As children, especially, we wished others around us to be happy and well. So we danced, acted extra ‘silly’, and eventually told jokes, or used art, or good grades, or making dance or sports teams to get love or make others proud of us – to alleviate the fear, anger, and grief of our caregivers. The subconscious desire to heal one or both parents or caregivers becomes pervasive throughout life and expresses itself in a variety of ways. Many of us receive positive praise for putting others first, and some of us go into careers and manage to get paid for facilitating healing (of any type) in others. The overweight parents raise the son or daughter who wants to become a nutritionist or personal trainer. The narcissistic father raises the daughter who becomes a psychologist, social worker, or other form of counselling practitioner in order (subconsciously) to understand what makes him tick. 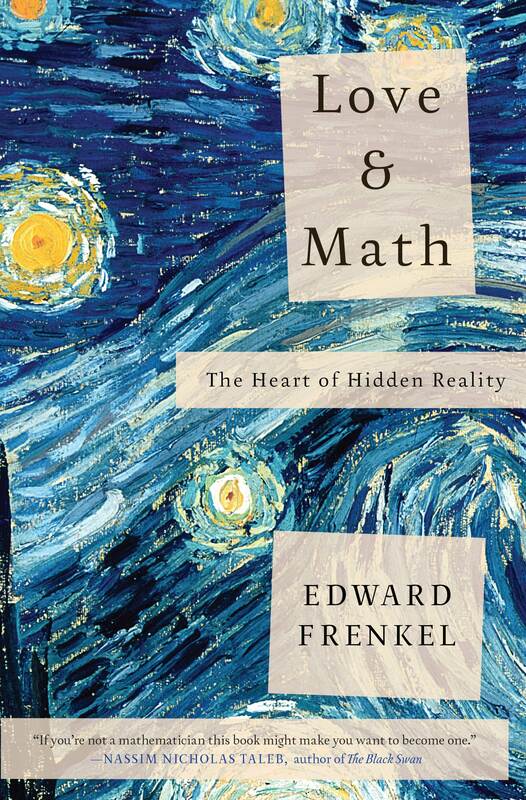 The superficially inclined parent raises a child who wants to explore and go deeper, and who often becomes an academic or intuitive – a seeker of truth. The grief-stricken mother gives birth to the child who becomes an energy healer or a comedian. The sense of responsibility that most babies learn, when combined with being an empath, makes us absorb the problems and take on the imbalances in others. We typically try to heal others ahead of maintaining a healthy practice of self-care. Some of us burn out after barely a decade in a field that, if chosen and performed with awareness and use of the steps I’m writing about, could last a lifetime. If we get paid to be a healer of any type, or receive any other form of strong positive reinforcement, it’s even harder to let go of the learned sense of responsibility from infancy. Our ego identification is with being a helper and that, combined with the metaphysically true and physically untrue concept of oneness, creates a one-way exchange of negative energy that we take on and hold onto – sometimes forever. I am currently working with a very wise, spiritual woman I’ll call ‘Amy’ who can clearly recall being 3 years old and having an awareness of how ill her mother was at that time. Because babies only know love, Amy wanted to do something to help her mom. Amy remembers going to her mother’s bedside wanting “desperately to do something” and recalls “healing her mother” in that moment. After that experience, Amy’s mother did feel better, but Amy felt worse. Much worse. She presented to me, in her own words, “barely able to walk”. She’d already had surgeries on her hip and feet, and doctors didn’t know what to do next. I was able to intuit that Amy actually absorbed the energy of her ailing mom at that time, and has been holding onto that stagnant energy ever since. And this is not uncommon. In my experience of late, I’ve found it to be the norm more than the exception. Amy’s loving act was both effective and detrimental at the same time – effective for her mom, and detrimental to her. This seemingly loving intention created a pattern of feeling responsible for others’ health and so much more. Even as a youth, Amy felt responsible for holding the family container together. She recalls feeling responsible for everyone’s wellbeing, and of course acted from that ill-perceived place. Everyone else bought into that version of reality, too. Her siblings and mother blamed her for all that went ‘wrong’. This affected Amy’s self-esteem, which is energetically tied into the efficiency of the immune system. That, in addition to the energetic transfer, got Amy very sick in her youth and she has been plagued with serious pain and illness for many decades since. Without a very conscious awareness driving the action, her soul’s contract of being a helper called her toward this event and its subsequent learning opportunities. Years of pain and illness drove her to try so many modalities and practitioners but few thought to ask about her childhood, and none created safe space for her to share this event with them. I explained that this learned sense of responsibility has been burdening her entire life. The one-way flow of energy when not understood makes us too attached to other people’s feelings and even their opinions. We become people pleasers, denying our own sense of self and always focusing on others. But just like we hear on every airplane ride about the oxygen masks, we need to take care of ourselves first. Amy is now integrating this information using the tools I’ve given her and as we work together doing specific exercises to fine-tune her empathic abilities, she is healing slowly but surely of ailments that have plagued her for five decades. While Amy’s level of illness is one of the more extreme I’m working with, the underlying causes are the same for many of us. The sense of responsibility we often learn early on makes us live at the mercy of other people’s thoughts and opinions of us. We don’t dare anger another for fear we’ll be unloved. We don’t dare say what we want because we don’t feel worthy of having our needs met or can’t handle someone saying “no” to us. And we end up doing things out of fear, guilt, or shame – all very low vibrational patterns – in a feeble attempt to be loved by others. Guilt, fear and shame create resentment and a resultant constriction of energy, leaving us unable to fully heal or even excel in many areas of our lives. On the converse, acting from compassion and unconditional love is an expansive energy, opening us up to the healing and abundance of the Universe. All of nature includes both problems and solutions; we only have to look further than our learned realities to see it. To me, non-diagnosable symptoms, or even diagnosed illness that had no obvious cause were just a jigsaw puzzle needing to be filled in from beyond the physical world of prescriptions, surgeries, and even existent energy healing modalities. When I was open, the answers came to me, and invite you to do the same to see if this information resonates with you on a deeper level than solely mind awareness. 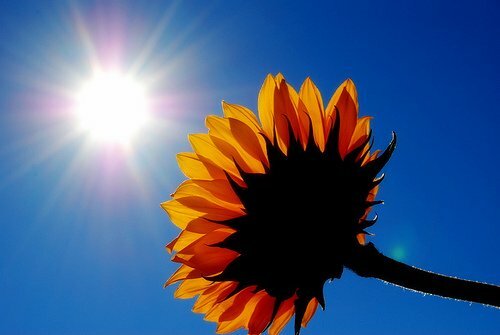 Although vitamin D can be obtained from limited dietary sources and directly from exposure to the sun during the spring and summer months, the combination of poor dietary intake and sun avoidance has created vitamin D deficiency or insufficiency in large proportions of many populations worldwide. It is known that vitamin D has a wide range of physiological effects and that correlations exist between insufficient amounts of vitamin D and an increased incidence of a number of cancer. These correlations are particularly strong for cancers of the digestive tract, including colon cancer, and certain forms of leukemia. 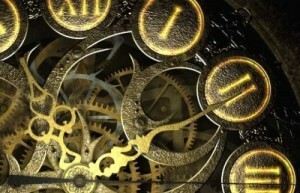 There is only really the ‘Eternal Now’ and that ‘Now’ exists in the beginning and also in the end of the standing wave that we call physical existence and evolution, which means that time is cyclical. 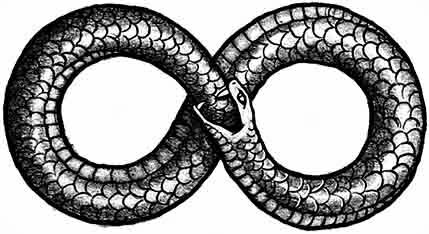 The Now is the ‘alpha-omega’ of the cycle – as symbolized by the point where the symbolic Ouroboros snake is biting and swallowing its own tail. However, that Now is also the ‘zero nodes’ in the standing wave, and in all standing waves. It has been a while and it is time for an update. A major portal has been opened on Maui, the heart chakra of the planet. There have been 20 others. The Earth now is being flooded with light and higher dimensional light beings. Yes, this includes their light ships as well. These higher civilizations (which we will refer to as the greater family of man rather than ET which has been given a fearful twist by Hollywood, the disinformation campaigns, etc.) is appearing globally, keeping the UFO reporting centers extremely busy. I might add some of the UFO reporting centers are not operating from the highest integrity as many know the ongoing UFO activity at ECETI has virtually been ignored. This is a precursor to what many call the EVENT. The timing of the event is tied into critical mass, the awakening and healing of humanity and the Earth. It is now foreseen as spring or early summer. This is not coming without challenges. Whenever a higher consciousness and energy enters a system due to sympathetic resonance, the lower consciousness and energy must rise to meet it. This creates chaos, yet chaos is the letting go of the old paradigm in order for the new paradigm to take its place. The intellect and the ego must surrender to the heart. The heart is your soul connection and the soul is the path to God/Creator/Spirit. Sometimes a little prayer and some sleep work the best in adjusting to these new energies. Many ask about the death of so many top level bankers. The banking system is corrupt, riddled with fraud beyond belief. The treasury has been robbed repeatedly, keeping the manufactured lack and enslavement through dependency going. This is coming down. Some bankers know too much and they have been removed, do to cooperation with global investigative authorities. Other banksters can’t live with what they have done and know the hammer is about to fall. Only 8 (suicides) have reached the press, yet the true numbers are close to 20 and this will continue. This entire economic system is not frequency specific to the evolution of humanity and the Earth. It is completely out of alignment with Unity Consciousness and Universal Law. There are forces beyond the Fallen Anunnaki, the regenerate ETs, and demonic realms which were virtually unchecked in the past. These are forces beyond the Illuminati, their major corporations and their treasonous political puppet whores. There is a grand awakening on a soul level which was not factored in, nor was there awareness of the source of this grand awakening. The benevolent Annunaki, the bearded Gods of old and the council of 12 now mostly women are back and there is a grand recall, and reconciliation of the fallen ones left to oversee. They are standing before the councils in extreme embarrassment for what they have done outside of Universal Law. The Andromedan, Arcturian, Pleiadian, Lyrian, Sirian and Orion Councils of light are also coming into play ending the prime directive hands off program of the past. The controllers, parasites and predators (Regenerate ETs, Demonics, Etc…) who have hijacked the Earth’s evolution are being removed, not so gracefully I might add. This is happening for those with eyes to see. The physical effects of this are soon to follow. We can all do our parts here on Earth by practicing love and kindness, setting boundaries with those who are not and holding space. We can pray to our representative of Source and welcome the benevolent beings, the beautiful many asking for their assistance in our own personal awakening and healing as well as the Earth’s awakening and healing. Stop participating in anything that is enslaving or harmful to humanity and the Earth. Let the beast consume itself as the prophecies foretold. There is an old Cherokee saying, “If it isn’t good for everyone it isn’t good.” This should apply to our foreign policy as well. We need to be careful of calling for democracy. Democracy means the corporations can move in and exploit the people trading one tyrant for corporate tyranny. The republic is a better model with a strong constitution, for the people and by the people. This is something that was forgotten in America, along with its Bill of Rights. This spring, the people will remember. They will come to realize the source of their pain suffering, the war and disease profiteers, the genocidal psychopaths behind the veil of ignorance. Those veils and masks are coming down. Be well, Godspeed, walk with courage and impeccable integrity. There is no security or future without it. In recent news, an article entitled, “Beyond Cern: Now physicists prepare to construct the even Larger Hadron Collider” shows how there is a desire to create an even larger portal into other dimensions, which is discussed in the above video. James stated that “The Event” would most likely occur between March and July of 2014.